I am quite sure that you people, like me, have faced the problem of space scarcity, when scattered furniture tends to eat up most of it. Chairs are one accessory that you can’t do without, and which manage to utilize most of the area in the room. 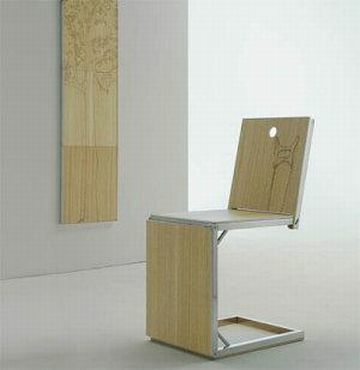 What do you have to say about a chair that could open flat, and be hung on the wall, when not in use? As soon as you are done with its service, no need to drag it around the room, just hang it on the wall and you get a piece of artwork! Bug Jewelry is cheap and in!